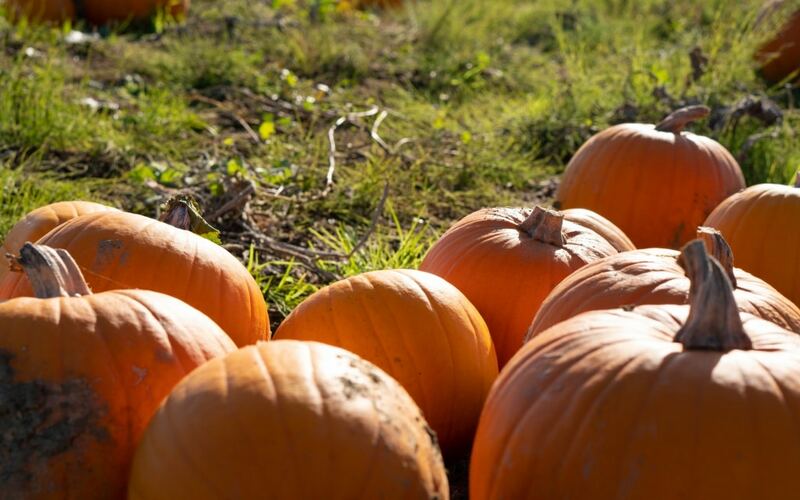 Each year we have visited the same pick your own pumpkin field, Pickwell Farm. However after our lovely walk along Lee on Solent beach at the start of the week and some rainbow ice creams! 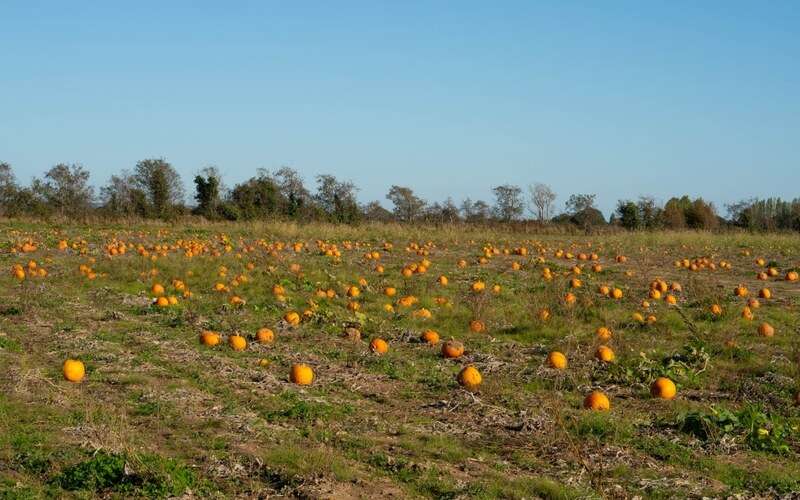 We spotted another pumpkin field, Hollam Nurseries and we could see how many pumpkins there was there to pick! 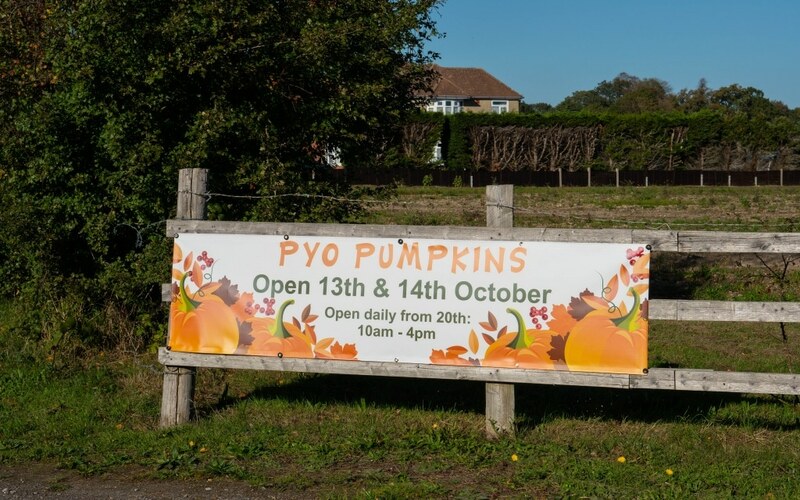 Look out for the sign on the road, the entrance to the pumpkin field isn’t the same as the nurseries and shop. The road goes up to the top of the fields where you can park your car next to the field. Here you will find the hut where you can pay and this cool dude! 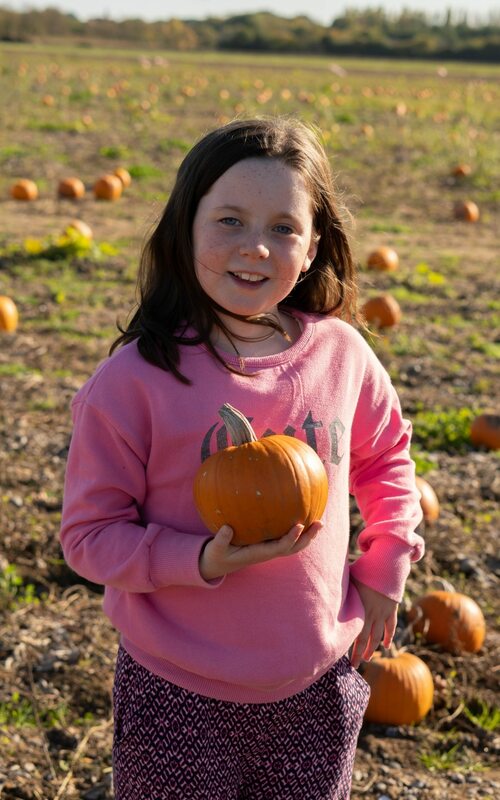 There were lots to choose from and the field was quite big so you had a good choice on what pumpkin you wanted! Also, they do allow dogs on leads which we didn’t think they would so left Gus at home, shame I would have loved a picture of Gus in the pumpkin fields! Oh they seem to be popping up everywhere so you may find one near you, ice creams were cool weren’t they!! 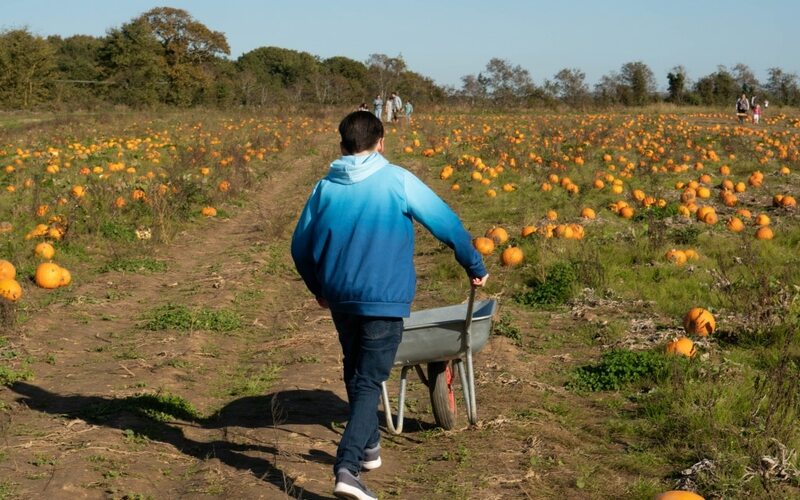 I love a bit of pumpkin picking! 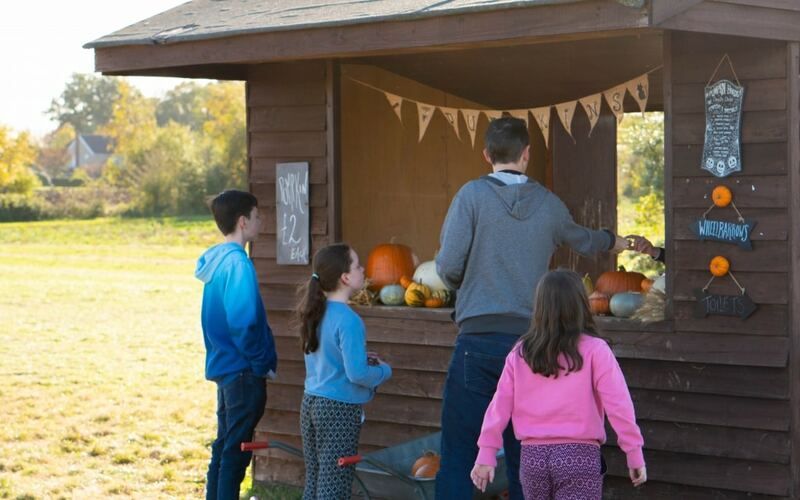 We’re getting ours on Monday from Willows Farm and my 4 can’t wait. 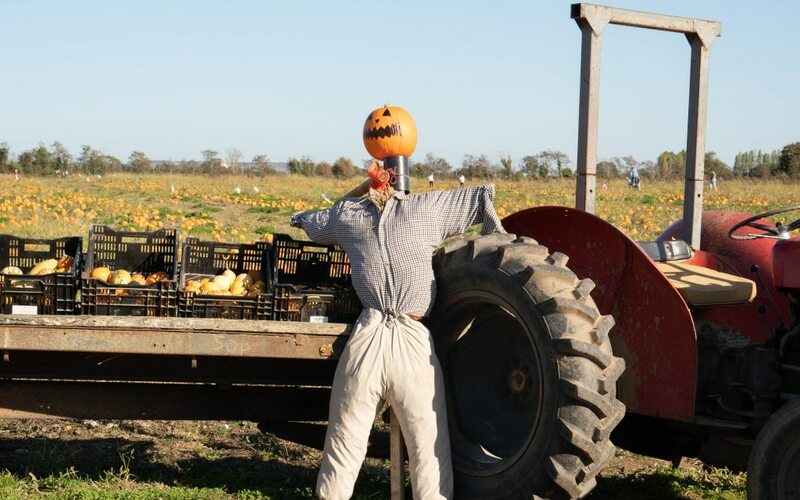 No idea what we’re going to carve this year. Its such a fun activity to do with them isn’t it! Have fun carving! 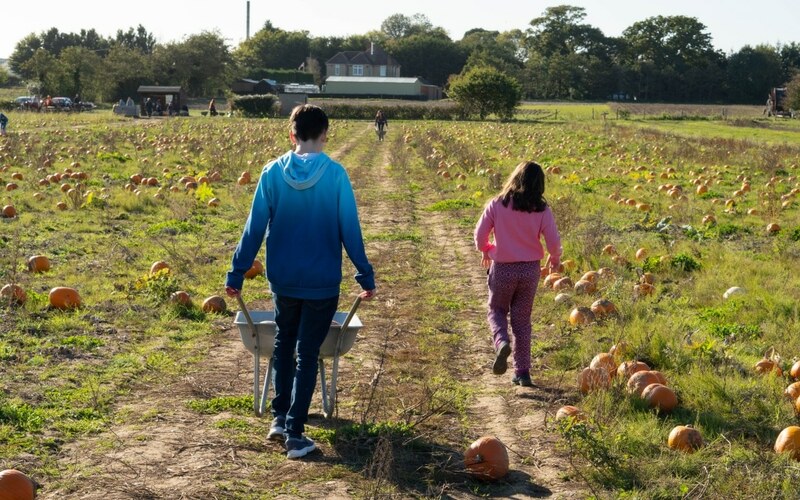 I’ve been strawberry picking but never pumpkin picking – looks like so much fun! Love all the pictures too. 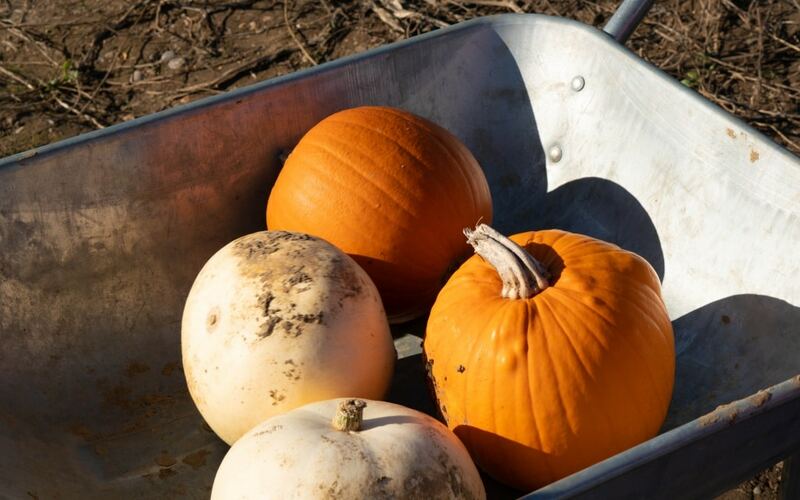 Thank you, pumpkin picking it great fun!